We are always looking for talented people to join our interviewer team. What makes a good interviewer? You need to be a good listener, articulate and well-mannered. It’s essential to have a positive mindset and a good attitude. Empathy, tact and a calm demeanour also all help to deliver better results. It’s a great solution for people who need to fit shifts around responsibilities and lifestyles. Fill in an online application form to register your interest. Call our interviewer recruitment line and leave a recorded message. Participate in an online video interview with a member of our recruitment team. Take part in an online assessment session. Complete a paid live trial. 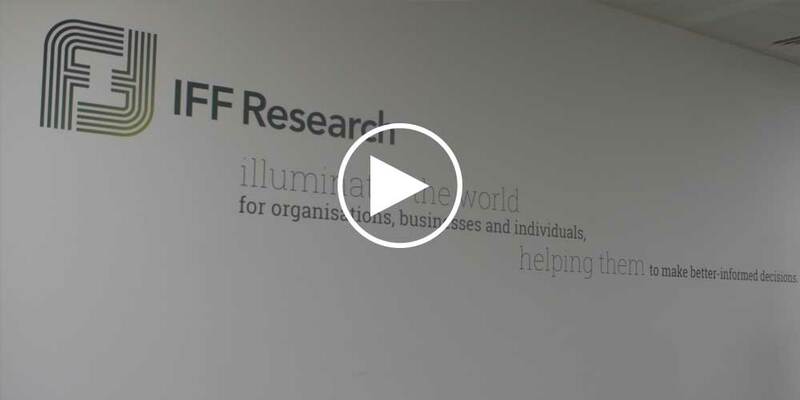 IFF’s positive and friendly team combine a professional and conscientious approach to working with a warm and social environment. Our values of ‘Being Human First’, ‘Impartiality and Independence’ and ‘Making a Difference’ permeate all aspects of our company. When we make decisions about anything, be it questionnaire design, recruitment, fieldwork considerations, or client engagement, our approach is always led by our values. We deliberately instigate social occasions like our Friday Club to build harmony within the team, and we always encourage an open and transparent working environment. Directors are approachable and work side by side with executives as we work towards common goals. Our homeworking setup means you can work from anywhere in the UK, and you’ll have daily interactions with our experienced, friendly and approachable Team Leaders to help you to settle in. Work is available on weekdays, evenings and weekends, with good hourly rates of pay that is paid fortnightly. All you need is a stable internet connection, a computer and a headset. IFF is a company that believes in making a positive contribution to the world, and that starts with how we treat our people. We provide an opportunity for everyone to earn a good hourly rate, and we reward high performers with uncapped bonuses. Your journey begins with a supportive recruitment process that helps you to quickly become an important member of our team. We want you to be fully equipped to carry out your work, and we provide training, guidance and on-hand support to achieve this goal. Many of our Team Leaders started out within the interviewer team, and are always on hand to help. We’re passionate about making a difference – and that includes making a positive impact on the lives of our interviewers. I joined IFF many years ago as a Telephone Interviewer, and since then I have progressed through the company, holding many positions including roles in our Data Services Team before becoming Operations Director. Our Interviewing Services Team is made up of a wide range of skilled people, and we always look inwards to identify talented people, regardless of background or experience, to help us to reach our goals.